The pronoun I functions as the subject of sentences. A common mistake occurs when the subject of a sentence includes a noun and a pronoun. To test for correctness, remove the noun and examine for correctness. The pronoun me functions as the object of verbs and prepositions. The most common mistake occurs when the object includes another noun plus the pronoun. Ignore the extra noun and then check for correctness. Please call Jason and me when you arrive. (The pronoun me functions as the object of the verb call). The reflexive pronoun myself must reflect on another noun or pronoun in the sentence. 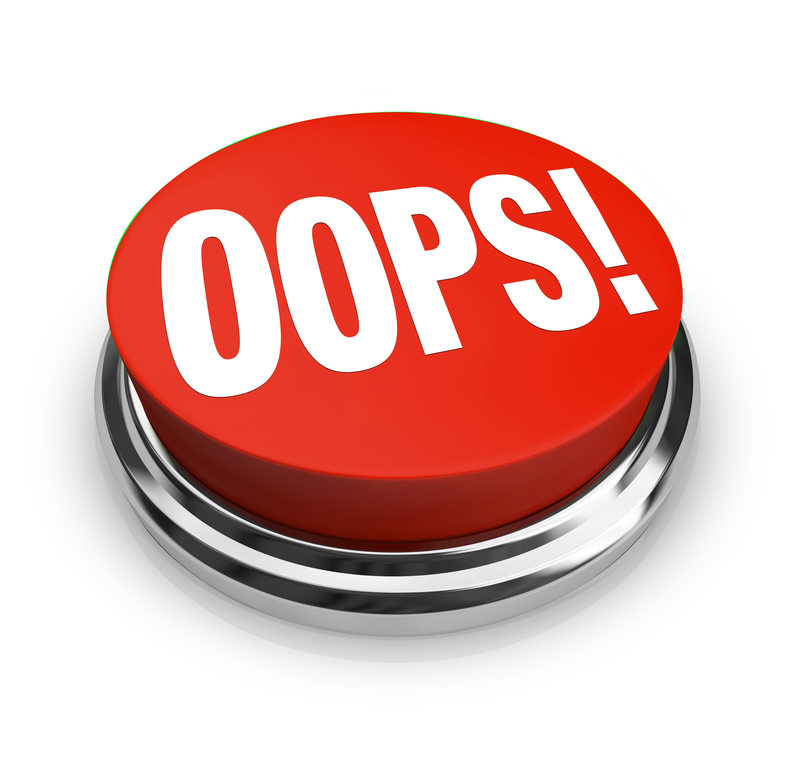 The most common mistake occurs when myself is substituted for me because it seems more polite or more correct. But it isn’t! In the following sentences, choose the correct pronoun. Because we had overpaid, the IRS sent a refund check to my wife and (I, me, myself). My friend and (I, me, myself) both rejected the lentil loaf for our evening meal. Please remove the picture of my boyfriend and (I, me, myself) that appeared on your Facebook page. The employment counselor said that networking would work better for (I, me, myself) than searching the Web for a job. I was told that LinkedIn was the No. 1 social media site for (I, me, myself) to use in establishing my online presence. In the remaining sentences, correct any errors in pronouns. Mark C if the sentence is correct. Do you know whether any messages were left for Michelle or myself? Jade and me heard that working as a freelancer or as a temporary employee is becoming more common today. I told our customer that she could always call the manager or me if she had any questions. Many complaints that were sent to Sam and I should have gone to the manufacturer instead. Can you meet my partner and myself in the baggage area as soon as our plane arrives? Your competed application form must be sent to Dr. Rivera or I before March 15. The agreement between the boss and myself was reached after my performance review. To prepare for our study abroad trip, Amanda and me took a conversational Spanish class. If the manager had just called Mike or myself, the problem could have been solved immediately. Do you know whether any messages were left for Michelle or me? Jade and I heard that working as a freelancer or as a temporary employee is becoming more common today. Many complaints that were sent to Sam and me should have gone to the manufacturer instead. Can you meet my partner and me in the baggage area as soon as our plane arrives? Your competed application form must be sent to Rivera or me before March 15. To prepare for our study abroad trip, Amanda and I took a conversational Italian class. If the manager had just called Mike or me, the problem could have been solved immediately. Although we are adventuresome, Rachel and I did not care for the seaweed and kale smoothie. This entry was posted in 5. Miscellaneous on March 10, 2016 by bizcombuzz. 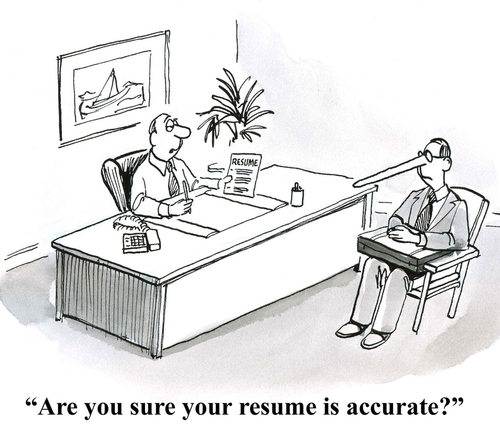 If you’ve ever considering lying during the job search process—don’t. Whether you are submitting a résumé, completing an application, or interviewing, employers want to hire people they can trust. The author of backgroundchecks.com lists reasons you should stick to the truth. Background checks are standard and will reveal any criminal offenses. Although you may not get the job if you state a legal problem upfront, you certainly won’t get the job if you’ve lied about it and are caught. References will reveal lies such as incorrect or padded job titles, responsibilities, and employment dates. Can a Type Font Kill Your Chance for an Interview? True or false: Times New Roman is the standard for résumés. If you answered “true,” you may be hurting your chance of landing an interview. According to typography experts, using the venerable Times New Roman on your résumé is “the equivalent of wearing sweatpants to an interview.” A creative director for a design firm considers use of the font indicative of a candidate who has put no thought into the résumé’s appearance. What to do? Use Helvetica for a safe, more business-like look. Garamond is another good choice. Avoid flowery or cursive fonts. As for Comic Sans—using it will definitely leave you sans an interview! As more and more businesses use pre-hiring assessments, those who don’t score well are increasingly finding themselves out of luck. In 2013, 57 percent of US employers used pre-hiring assessment tools, up from 26 percent in 2001. Unfortunately, the tests are making it especially hard for young job seekers to land a position. Many companies are simply not settling for workers with minimal skills or whose “workplace temperament” as measured by the tests do not auger well. Besides personality tests, new hires are facing assessments that also check for poor credit. The result is that fewer individuals make the cut. Since the tests seem to improve turnover and productivity, it seems likely employers will continue using them. This entry was posted in 5. Miscellaneous on July 21, 2015 by bizcombuzz.